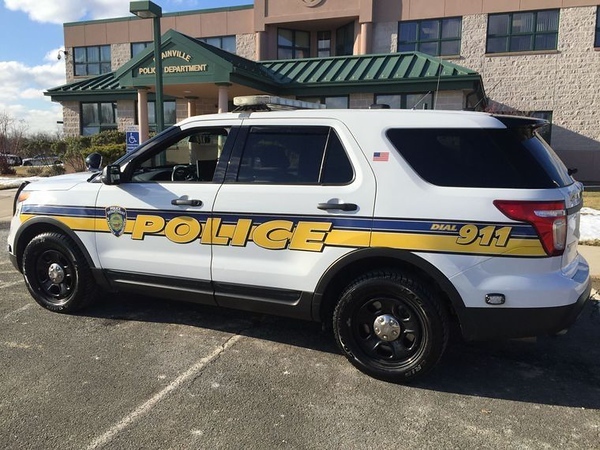 PLAINVILLE - A Farmington man arrested over the weekend allegedly threatened a woman and her family while in police custody. Dylan Magee, 48, allegedly said he would kill his ex-girlfriend and assault her father and brother, while being charged in connection with an incident at the woman’s home Monday, according to the police report. “I’ll take five of my Diablo friends there and threaten her,” Magee said once he was at the police department, according to police. Magee was arrested shortly after his ex-girlfriend’s home alarm went off Monday at about 1 a.m. Police responded and found that a basement window had been smashed. At the scene, officers found Magee, who told them he was trying to retrieve his belongings after the couple had an argument several days ago and he went to a hotel. According to the ex-girlfriend, Magee called her at about 11 p.m. Sunday and said he wanted his belongings and money from the home. He then allegedly said he was going to burn her house down. The woman told him she wasn’t home and got off the phone. The ex-girlfriend was later awoken by the sound of a window to her home being smashed. After Magee was taken into custody and found out his bond was $50,000, police said, he became angry and made the comment referring to the Diablos Motorcycle Club. After multiple threatening comments, police raised his bond to $250,000. During Magee’s arraignment Tuesday in Bristol Superior Court, his attorney, Forest Green, argued the bond down to $2,000. Green noted that Magee, during his tirade, conceded that he would never put his hands on his ex-girlfriend. “I believe he was very upset,” Green said, adding that his client’s anger got the best of him. Magee posted bond shortly after the hearing and is due back in court Oct. 24. Posted in The Bristol Press, General News, Plainville on Tuesday, 5 September 2017 22:26. Updated: Tuesday, 5 September 2017 22:28.